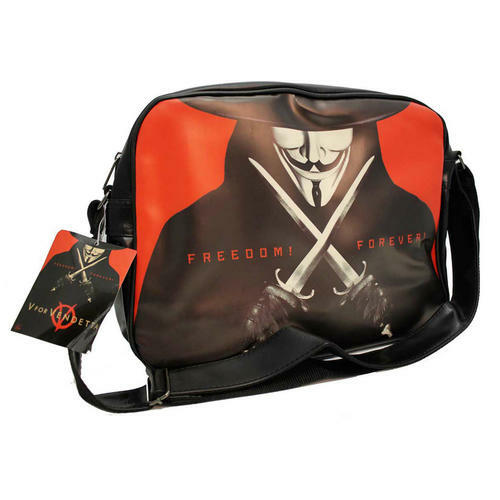 Cool and trendy Messenger Bag with a classic V and 'Freedom Forever' design and featuring a large main compartment, front pouch and adjustable strap. Officially licensed. 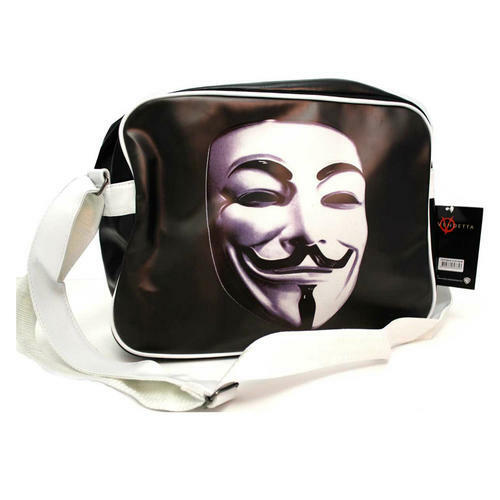 Cool and trendy Messenger Bag with a classic V mask and logo design and featuring a large main compartment, front pouch and adjustable strap. Officially licensed.